“Data Anomalies” in The Sandy Hook School Massacre: Did Connecticut Ever Send the Homicide Data to the FBI? This contribution extends the findings of this author’s recent “The Sandy Hook School Massacre and FBI Data Anomalies” article. The primary conclusion of that article is that the Connecticut State Police had no legitimate reason for requesting that the FBI delete Sandy Hook related Supplementary Homicide Report (SHR) data. Yet, as the previous article documents, that appears to be exactly what they did: at least this is prima facie supported by the statements of FBI officials (click above link). But then again, how reliable is the FBI? 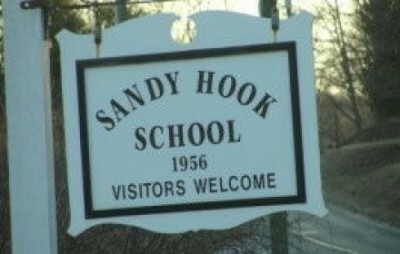 The main thesis of this article is that it is most reasonable to believe that the Connecticut State Police never relayed the supposedly deleted Sandy Hook data to the FBI, and that this implicates a secretive group within the Connecticut State Police as participants in a fraudulent Sandy Hook operation. Of course, this is not the only possibility, and it implies that the FBI’s claim that the Connecticut State Police made a deletion request is, to put it diplomatically, a lie. The main thrust of the rest of the article is devoted to argument in favor of the thesis, but before doing that it is important to reinforce another conclusion of the previous article, which was that the “0” Newtown entry in Connecticut’s UCR, which was echoed by the FBI, in and of itself provides no evidence that the FBI asserts that no killings took place in Newtown. The primary reason why (wholly aside from the fact that the earlier conclusion is correct) it is important to reinforce the earlier conclusion is that rejection of the earlier conclusion implicitly supposes that the Connecticut State Police really did send non Nancy Lanza-related SHR data to the FBI. Therefore, not reinforcing the earlier conclusion presents the risk that attention will be improvidently distracted away from the very plausible notion that the Connecticut State Police never in fact submitted non-Nancy Lanza related SHR data to the FBI. The word “improvidently” is used partly because the notion that the aforesaid data were never submitted is better supported by the evidence, and that evidence directly points to a secretive unit within the Connecticut State Police involved in the Sandy Hook operation. Readers are asked to please keep this front and center over the next few paragraphs. “Kissner identifies himself as a “criminologist”, who would appear to be in an appropriate position to explain why “the data entry identified by Salazar in no way whatsoever supports the claim that the FBI says no one was killed at Sandy Hook. ” But of course it does. Since the FBI’s data is confirmed by Connecticut’s data, but no location for those deaths appears in the state report, it supports the inference no one died, since if they died they had to have died somewhere…Because the Newtown event was scored under the “State Police Misc.” heading and the FBI received the data from Connecticut, it placed a “0” in the Newtown row. Which means the claim that the FBI says nobody was killed at Newtown is not supported by the FBI’s data point. But does Kissner really think people can die in Connecticut without dying somewhere in Connecticut? First, I’d like to assure people that I do not think people can die in Connecticut without dying somewhere in Connecticut. Several replies and explanations could be offered in response to Fetzer and Dr. Eowyn, but the key point is that, under the state of Connecticut’s UCR program, the Connecticut State Police are not only the reporting agency to the FBI; they are also a Connecticut UCR “Area or Agency”, as is evident in the image pointed out by Fetzer and Eowyn and accessible here as well (in the Connecticut UCR) at p. 415. This, in conjunction with the fact that the Connecticut State police have state-wide jurisdiction, means that the offenses catalogued on page 415 have— for UCR scoring purposes— no geographical location assigned to them since they were offenses that could have occurred anywhere in Connecticut, they were “investigated” by, and in many cases surely initially reported to or observed by, the Connecticut State police, and UCR offenses are not necessarily, shouldn’t be, and expressly weren’t in the case of Newtown—double-counted in terms of investigative agency and geography. Thus, the asterisk on page 415 next to “State Police Misc.” refers one to the “Agency or Area” “State Police”, and indicates that the offenses listed on page 415 are also scored under “State Police” totals at page 48 of the above-linked Connecticut UCR. This is does not present a double-counting issue due to the fact that “State Police” subsumes “State Police Misc.”, but there is no such relation of subsumption with respect to Newtown. This is why the Newtown “killings” “stay” scored under “State Police Misc.” and “State Police.” This is also why the Newtown “killings” stay scored under the State Police “Agency or Area” categories and not also the Middlesex County “Agency or Area” category (see page 33 of the Connecticut UCR and observe footnote 3), which is where the Connecticut State Police is headquartered. So, the FBI UCR simply echoes the Connecticut UCR’s protocol for scoring offenses; as stated in the previous article, the FBI simply replicated the Connecticut UCR’s Newtown entry. Now to the main thesis of the article, which is that Sandy Hook Truthers should seriously consider the possibility that, in spite of the claims of the FBI officials quoted in Meghan Hoyer’s 9/10 USA Today article, the Connecticut State Police’s Crimes Analysis Unit never relayed the Sandy Hook information the FBI now says was deleted per the request of the Connecticut State Police. First, let’s sketch the background to the scenario and then offer reasons by way of support of the scenario. Under the present thesis we should note that Meghan Hoyer has been involved in the compiling of a USA Today database on mass killings, during the course of which she, or an associate (or some combination thereof), has had occasion to review the FBI’s SHR data. The FBI SHR data is supposed to contain details regarding the Newtown “killings”, but was, according to the FBI, deleted subsequent to the CSP’s submission upon request by the CSP—although the Nancy Lanza-related SHR data remains. With this background in mind, the proposed scenario unfolds as follows: Hoyer and /or colleagues are constructing their Mass Killing database and referring to the FBI SHR when doing so. Then, they notice that non-Nancy Lanza Sandy Hook data are missing. Consequently, as the September 10 USA Today article indicates, they contact the FBI and the Connecticut State Police to do some really “hard journalism” in the “interest of science” in order to find out why. Once again as a refresher, the 9/10 article relates that USA Today was told by the FBI that the Connecticut State Police requested deletion of the data. The CSP’s Lt. Paul Vance said that CSP had submitted a six page report, but that a mistake was later identified (presumably leading to the deletion request if such a request was in fact made). Much might depend on which agency Hoyer contacted first. Since the SHR data Hoyer and colleagues are looking at for purposes of constructing their Mass Killing database are FBI SHR data, it is a very good bet indeed that Hoyer first contacted the FBI when she (and/or colleagues) discovered missing Sandy Hook SHR data. So, consider this: if the FBI really had not received the data from CSP but only noticed it upon having been queried (and please note that bureaucratic functionaries compile FBI SHR data, not the FBI director or Eric Holder) by Hoyer, what could an SHR bureaucrat have possibly told Hoyer (probably by e-mail and after consultation with superiors) other than that CSP simply requested deletion; they likely would not have said “we must not have received it”, because then the risk would have been too high that the next question would have been “why” —and why go that route (even if the risk was relatively low) when an even safer route would have existed? That safer route, of course, would have been to say simply that that CSP requested deletion—knowing that CSP would have no problem admitting to a simple “mistake” even though such an explanation is actually ludicrous for the reasons mentioned in the previous Sandy Hook Massacre FBI data anomaly article by this author. Such a route would have been quite safe even though ludicrous, largely because relatively few people are aware that SHR data is so simple that mistakes are not so easy to make, and, in any event, would not have justified deletion of data that was correct when submitted. Police, it is reasonably likely that the personnel orchestrating it would not have been your typical “beat cops.” And, it is very likely that job number one for a secretive unit would not have been to make sure that Sandy Hook SHR data made its way “across the hall” or “up the elevator” to the Crimes Analysis Unit (the Unit responsible for compiling the SHR data). So, and this fits Occam’s Razor and much else besides very nicely—they never did, perhaps because the lead functionary within the secretive unit to whom investigators reported was simply not accustomed to ordinary, garden variety, cop stuff like keeping and transmitting crime data records. If follows logically that if the thesis of this article holds, Sandy Hook Truthers might want to devote additional scrutiny toward whatever investigatory discrepancies (in terms of agencies, personnel, etc. particularly in relation to protocol) might exist between the Nancy Lanza residence and the Sandy Hook Elementary crime scenes. Potential discrepancies might be reflected, for example, in State Attorney Steven Sedensky III’s Sandy Hook report. It is reasonable to believe this might be so in part because the Nancy Lanza-related Sandy Hook SHR data is present in the FBI’s spreadsheet even though the rest of the Sandy Hook data is not. The thesis enunciated in this article accounts for this fact, and supposes it to be attributable to differences with respect to investigatory processes (including personnel and superiors) between the Yogananda and Sandy Hook Elementary crime scenes. In turn, these differences could help solidify certain promising theories as to exactly what transpired on December 14, 2012, and it is not clear how the “really sent but requested deletion theory” can account very persuasively for the fact that the Nancy Lanza-related data is still present in the FBI’s SHR. Other reasons why the “never sent” theory is preferable to the “really sent but subsequently requested deletion” theory are these: the presence of incorrect, simple data is easily fixed but wasn’t, and any “genuine” errors would have been too easily attributable to honest mistakes and therefore in all likelihood left alone. Unless, of course, there were too many of them, but how hard would it have been to prevent that from happening?